Just a reminder…if you are shopping the Needful Things and want us to HOLD your order you need to type HOLD on every order. Thank you…this will help us both out! I know there are a lot of words in this post without a lot of pictures…but if you are interested in wool appliqué there may be some GOOD things here..
Why do you want to use the Steam-a-seam 2 Lite? I will refer to it as SAS2 and I only use the light…some use the regular and like it I like the lite. Wool can be a little fuzzy…the fusible helps keep the fibers intact and not fray out. I like clean neat appliqués, not fuzzy thready and unkept…I do not hide behind the “it’s primitive”…I want my things to still have exceptional workmanship. I want my “wool” appliqué to be able to be “as good as” a needle turn appliqué. I know this may not apply to you…you may not care…it’s a personal thing…and that is why I’m explaining the why. Just a little fact…Portland Rose, a flannel quilt hand stitched with wool appliqué won 1st place in the Bed quilt category in Paducah this last show…I think it was different…and Linda from thequiltedpineapple her quilting elevated it to its glorious status! We won big money and a trophy…who would have thought a flannel wool appliqué quilt would win in Paducah…the biggest and best quilt show on the planet!!! Do not follow the directions on the fusible packaging…They are not using it for wool…Follow the directions on the pattern you are using…Yes…you HAVE to read them…especially if I have to WRITE them…SAS2 is made to be used with STEAM…WOOL and STEAM are best friends….you will not overheat it! In fact I believe most people do not get the SAS2 down correctly. I fuse to cotton, cotton flannel and wool…Use lots of STEAM always keeping the Iron moving and tiny hard presses when pressing the wools to their backgrounds…You do not need steam if you are fusing the paper to the wools like you would in the first steps…If your needle is gummy when stitching, use more steam and pressure to bind that fusible to the background. You will get the added benefit of a facial when done correctly…lol…Since you are not overheating this product the appliqués stay in place. There will be a few exceptions if your dragging a project around for years or have small tiny berries and such a few may come off with all the finagling of your fabric when stitching…but for the most part, I fuse my whole block, mat or whatever it is and start stitching. My recommendation…SAS2 is sensitive to climate change…if you live where is can be hot, cold, muggy, raining…all in the same week…protect your fusible in a zip lock or twist tie the larger stuff in a kitchen garbage bag to help keep out the moisture. This NEW SAS2 is a lot nicer than the older versions…I say plural because you never knew what it would do..sometimes the paper fell right off, some the fusible was on one side and then after you traced a ways it was on the other…This NEW stuff definitely sticks to one side…but you still have to be careful and slow when you are removing the waste backing…grab the fusible and drawn paper side and pull gently knowing and looking that the fusible is with your drawings…its all about YOU being in charge of it…just in case. I love to teach wool appliqué…if you ever have a chance take one of my classes…you will learn lots! If you have taken a class from me …let others know what you thought of it….I welcome your comments on wool appliqué…fusing….why you don’t use fusible web…or whatever you want to comment about relating this post…Yesterdays post was very informative with all the comments about what they used the Wonder Clips for…Let all LEARN together!!! Sorry for the wordy post! I have not ( successfully) used fusibles with my wool applique. I remember a number of years ago reading instructions ( I’m sure were yours) that told me to use fusible, I traced the pattern on the paper ( probably that *other* brand) then could not get it to adhere to my wool, was disappointed with the waste of the product and all the time, haven’t tried since. Now, reading about the sas2, I am sure I used the wrong fusibles, ( no steam allowed) and would love to give it another try. You mention machine st itching though and I always do my wool projects by hand…. Is it difficult to hand stitch through? I’ve found even the light ( other stuff) on regular cotton can be a Bear to hand stitch. I stitch ALL my wool by hand….easy to stitch…read some of my NEEDFUL thingsfrom years past…like using the correct needles. Stitching is a breeze…how else would I grt so much done! I have just been introduced to SAS2 and thoroughly enjoyed using it. Thank you very much for your helpful tutorial on using SAS2 for wool appliqué. I will definitely be trying it on my next wool appliqué project. I was so lucky to take a class last year in Scottsdale with you. You taught the Needful sewing wool appliqué mat. I love it. I have done wool appliqué for many years using my own “self taught” freezer paper method. Well no longer! I am a big fan of you and your fusible web method. I just finished your Dashimg Through the Snow runner which I thought would take me a year to do and I was finished in about three weeks. Thank you so much for all you do for the quilting world!!! I always used steam-a-seam for my wool applique and when I could no longer find it anywhere, I did not realize it was out of production. Thank goodness it is back! Nothing else works like steam-a-seam! I’ve stocked up on SAS Lite! A girl can never have too much and it’s a “wooly’s” best friend! I’ve been using SAS2 lite for all my wool applique. It makes it so convenient to have everything in place and then just have to stitch it down. SAS2 is the only wool fusible I trust. Thank you for the very informative newsletter. I have ordered the lite steam a seam and am anxious to try it. I love wool applique and your information will help me be more confident about my work. I am oh so excited LSAS2 is back in production! And you have yardage in the wide widths, I am giddy! I too love this product use all the time on your wool projects, thanks for putting it on sale. So glad SAS2 is back!!! It’s my favorite too. I did learn somthing I didn’t know about it. If you are fusing wool to cotton it REALLY sticks, I wasn’t pleased with the placement of one little stem on my anniversary block and thought I would very gently lift and move it. Nope that baby wasn’t moving!!!! I’m playing the It’s primitive card on that one. I have used SAS lite before and wasn’t happy with it because my pieces didn’t stick very long. These were big pieces and I worked on the piece for about a month so not much time. Now according to Lisas’s post I might have been a bit gentle with the application of it. It looks like I am going to give it another try. Looking forward to trying the new version of fusible. LSAS2 has always been a favorite of mine. I can assemble my project and move it to the iron thanks to the tackiness and a million other reasons. Very anxious to try this product. Did the summer BOW, my first wool project with another product. I started using LSAS2 after taking my first (of many) class with Lisa. I was hooked on it, it is the only thing I use for wool or cotton. So glad to have it back for us to get again. Thanks Lisa for introducing me to LSAS2! I Love your wool projects!! Not wordy at all….very informative! I have always been leary of using this product with my wool applique. Now I will give it a try. I would love to take a class from you ! I have never used LSAS2. Will definitely give it a try. Thanks for all the tips! Love all your tips and I never find your posts too wordy. I took a lecture from you at Madison and learned a ton. Hoping I can find a workshop sometime that is close as I would definitely sign up in a heart beat!! Thanks for all you do. I have used SAS2 before and got gummy needles. Will definitely use more steam. I am always confused with the reverse tracing and what side to draw the pattern on with sas2?!!! Suggestions?? I thought you had to not trace in reverse with it? I am really excited about the new LSAS2! I love wool applique and have always used what you have recommended, except during that “black hole” period when we couldn’t get it. Excited about the fact that you can get it by the yard too! I really want to try this. I don’t have much luck with fusing down anything, especially wool! Creating more work for myself kinda takes the fun out of the project. I love SAS2 lite and have used it for a long time. I am glad it is back in stock and has been improved. Thanks for the sale on it. SAS2 is the only fusible I use for wool appliqué. So glad it is back! 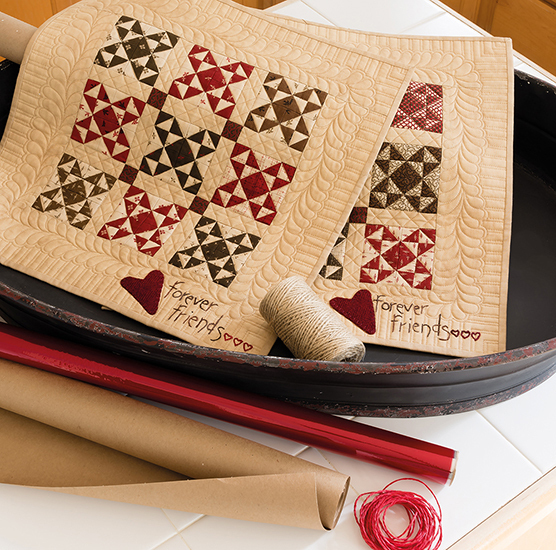 I’ve never tried this on wool but have used it with Laundry Basket quilts silhouettes. I love it! 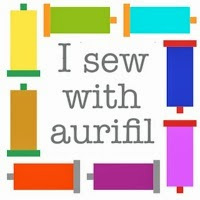 When I first started wool applique a few years ago I had never heard of this. I LOVE IT! Sometimes I let details, like what to use, overwhelm me. No more. I use this all the time. I have taken a class from you and did learn lots! Also stocked up on SAS2 after your class, so was able to “survive” when I couldn’t get any more! Glad it’s back, I’m starting to run low. Cant say enough about the benefit of taking a wool applique class from Lisa. Took mine in Hershey, PA and totally improved my blanket and stem stitches! Glad to hear Steam A Seam Lite is back. Can I say enough times how happy I am that SAS2 is back on the market! Nothing works as well as SAS2. I didn’t know until all stores were out of stock that it was no longer being produced. Tried 2-3 other brands and would throw away after trying. Was so happy to find out that this is now being made again! Now I can get back to all my applique projects I’ve put on hold. I was ever so fortunate to go to you lecture in New Ulm this year, unfortunately I had to work and couldn’t take the class….however, I would highly recommend both to anyone able. You lecture was so informative and filled with humor – I have been hoarding my steam a seam 2 – love it. I love wool projects and your designs are awesome. I have used fusibles before, but would love to give LSAS2 a try. Thanks for your thorough discussion! One of the reasons I LOVE wool applique is SAS2! I have never used this product and am new to appliqué but am anxious to learn more! Thank you for all the tips. I will need to give SAS2 a try. Taking a class from you was the BEST ever, Learned things I had never even thought of, much less tried. SAS2 was good but did have an issue now and then….. The new improvements should make it awesome. Congratulations on the HUGE win in Paducah, was this a well known fact and I missed it? Love your postings and info, Lisa. I am convinced that I need to try LSAS2 on my wool. I usually use freezer paper but I would like to have a neater edge to my work. I haven’t had a class with you yer but love your patterns and directions. We are going on the Cruise in 2015 so I will get to learn lots more from you! Our cruise is going to be awesomee!!! SAS2 is wonderful…..so glad it is back on the market! I took a class from Lisa last summer in New Ulm, Mn and it was super! Lisa is a tremendous teacher and human being. If you ever have an opportunity to take one of her classes, go for it. You will not be disappointed! OMG…I am sooooo glad this product is back on the market…having to use other products was hard because they just didn’t meet the high standard of Steam a Seam Lite 2. This would be an awesome thing to win! After saving my SAS and using it sparingly to keep as much as I could, it will be great to be able to purchase this again. Whoo hoo! Thank you for the detailed information. I have used SAS2 but like many others, didn’t like working with the gumminess. I’m sure I didn’t use enough steam. I also may have used the regular versus the Lite. I love working with the very textured wool and it can have a very fray-like edge so this should help. I will give it another try. I felt fairly confident in my ability to do wool appliqué until I took your class on a quilting cruise and realized I still had a lot I could learn. The class was fun and informative. I hated SAS2 until I took the class and learned how to use it. Will definitely be ordering some for my wool projects. I love SAS2 and your tips make it even better. Sure was tough while it was out of production, so glad it’s back and better than ever! I bought the new SAS2 when you got it this year (just a few months ago) and I got it just in time to use it on a pattern I purchased from you when I took my first wool class from you (tulip table mat) at your retreat house. I used the old SAS lite for my tulip table mat and then for several other wool appliques until I ran out – then I had to use some stuff I got at Walmart until SAS2 came out. I absolutely love this new product. I will try to attach a picture of the finished piece that I just used it on. It is a gift for my sister-in-law and I wanted it to be crisp and have a clean finished look. My husband said maybe I should keep it and I would like to …. but I have to look myself in the mirror and that wouldn’t be nice. I am going to try to get another piece of silk stitching fabric from your shop and make another for myself. This new SAS2 is softer to work with, it stitches beautifully. The needle goes through it easily and it isn’t stiff when you are done. I use a lot of steam and one of the teachers I took a class from says don’t use too much steam – I agree with you. Lot’s of steam and heat…the iron on linen. To me this is another item that is not only “needful” but NECESSARY if you want to wool or cotton applique, even with needle turn. I use it in the center of my needle turn just to hold it in place. I couldn’t get the photo of my finished piece on the blog but if you click on my name above it takes you to my facebook page where it is posted. I will have to give this product another go, I had switched to Shades Soft Fuse which tends to “fall off” but is easy to stitch because the SAS lite was causing my needle to be very sticky…hand or machine…I am curious to see using steam to make a difference. I was using a hot dry iron. Wow..I have not used this product. I used the old version and was not impressed. However, I WAS NOT doing it right. I am going to order. I am also going to try to take one of your classes. I need to learn more about wool because I love it. I am so ready to try the SAS2. I tried with the old SAS and really messed things up and I am ready to give the new product a try. I have been using wax paper to trace and glue to hold the cut outs to the wool. A one step method appeals to me. I was so happy that SAS2 is finally back. I do quite a bit of wool appliqué and love it. I took a class from Lisa last summer and learned so much. If you have a chance take a class from her. Always such helpful info from you! I have used SAS2 and it always worked. I had the problems you described and thought it was just me or a “bad batch”. I am delighted to hear that the quality issues have been resolved. How do you ship the “by the yard” SAS2? Or should I order the packages? I use SAS2 and follow the directions on your patterns! Works perfectly! I cried when SAS2 disappeared. I tried several other products, each a less than stellar experience. None stuck as well as SAS2 and some were painful to needle through. I was happy to hear that re-steaming helps when the needle gets sticky…mine do where two appliques overlap or are stacked together. It makes sense that an area like that would need extra steam. I keep a baggie with alcohol swabs near…just run the needle through and carry on. I have only done a few wool applique projects and your information is soooo helpful. It makes me want to try another project and even take a class! Thanks for blog posts!! I do use SAS2 lite and had no problems with it but sometimes maybe a little a sticky on the needle. Will press more! But I have tried a new product Soft Fuse and really like that also. It comes in sheets and on a roll. Also if my project is small enough when I’m not working on it I roll it on a empty paper towel roll and tie with ribbon. It keeps the wool pieces from crimping. I would love to take one of your classes Lisa. Come to Austin TX!!! I have used several brands of fusible, and the SAS2 Lite is my favorite – by far. Especially with wool. It sticks better, and to me, it doesn’t leave my applique stiff. I just recently completed (finally) my Snowman Gatherings quilt and used all my SAS2 stash in the process. So glad it is back on the market in a revised form. Looking forward to trying it. I LOVE using a fusible on wool! Not only for all the qualities that you mentioned but because it makes handling the wool so much easier! The wool doesn’t flop around as much and is WAY more stable! I would never attempt a wool project without it!! Thanks for the lesson!! I need to use more STEAM!! I just love, love the SAS2. When it was out of production, I could not find anything that would work well with fusing wool, especially little pieces. The new fusible is so much better and I like the grid lines on the paper. I highly recommend taking Lisa’s Working With Wool class. She is a wonderful teacher and shows you a lot of tips and tricks for making your wool projects turn out beautiful. Love SAS2!!! So thankful that it is back in production. I was fortunate to be in WI in Sept and stopped by your store and saw Jess and picked up some of the new SAS2, among other things. 🙂 I have not tried it yet. The first class I took from Lisa was back in 2010. It was my first time working with wool and I was instantly hooked. I have taken class from Lisa 4 times since then and each time is a wonderful learning experience. If you ever get the opportunity grab it. Lisa is a great teacher and shares all her knowledge and tips. I would love to take class with her again. I love SAS! When it was out of production, I hoarded every little scrap! I’ve tried other methods, pins, glue, staples…but I always go back to SAS. Just ordered some from you during your holiday open house – can’t wait to give it a try! After reading your very informative post today, makes me really to want to try SAS2!!! I always have just did the freezer paper & a little glue! This is the only product I use for my wool projects. I learned from the best. I took your class a few years back. Love sas, use it all the time. Thanks for all the tips on using it with wool!! Any chance you are coming to Arizona in 2015 lisa? Would love to take a class!!! Thanks to you I love SAS2 lite. Thank goodness I had a few extra packages on hand, which I now have used up. Local quilt shop finally got some of the new in which I purchased but haven’t used yet. I especially like that I can move my pieces around until the final press. Still working on my Flower Garden table mat, took your class at Bittersweet in Michigan. I work on it between other projects. It’s coming along. I want to thank you for the 10th anniversary project, loving it. Steam-a-seam 2 Lite is the only thing I use with my wool applique and most of my cotton applique. I can’t wait to use some of the newest product. I’m also glad it’s finally available again as my supply was getting very low. I will be placing an order soon. Thanks for including this as a needful thing this year. I too use SAS2 and love it. I am anxious to try the new product. Thanks for your daily posting and give aways! SAS light is the best. I have tried all the alternatives when Steam a Seam light wasn’t available. I have projects stacked waiting for its return! I love the product and your method. My friend Nancy and I loved taking a class from uyou. SO glad your quilt won, it deserved to! Thanks for the updated instructions. I had to resort to using another product, until I found more of it buried in my sewing room. Glad it’s back. This is a perfect chance to make me order the steam a seam light. I took one of your classes and loved it! Got me totally hooked on wool applique. Did you listen to the comments yesterday, and leave the paint brush to others???? I would guess not! Because of its temporary “stick”, I am able to place and replace fabric for my art quilts until I am satisfied with the results. Like many others, I also have used other products during the absence of SAS2. I am glad to see its return. I saw your award winning quilt in Paducah and it is a gorgeous quilt; the design, hand work, and quilting; just all of it. I was also able to have a mini-lesson with you at BBQ & More while there and truly enjoyed that. Two things that were very important to me and have made a difference in my stitching wool is using SAS2 and to pull the needle away from me when making a blanket stitch so it won’t “roll” up. Awesome!! Thanks. Some day I will be able to have a complete lesson/lecture. Glad to here the SAS2 has been redefined and works much better. Have mine on order. Thank you for your wonderful designs! I took a workshop from you almost 2 years ago (seriously, was it that long?). It was my first experience doing wool applique and I came away feeling like I could tackle anything–so my very next wool project was Little Buds!! I have sorely missed LSAS2! I have tried other products and taken classes on other methods, but none of the other products or techniques gave the satisfactory results I was looking for! Lisa, I’m so excited I get to take your wool class at Road in January so I can see you in action with the SAS2 and learn how to use wool better. Thanks for sharing your needful things. I have really benefited from them the last couple of years and LOVE everything I have purchased, especially my Juki for piecing. I love this product! Have used it on several projects that I carry with me to stitch and everything stays in place!! Thank you Lisa, lots of good info in this post. I like your technique for using the SAS2 to fuse wool pieces. Never liked all those little applique pins poking my fingers! I was new to wool applique, but because of your beautiful designs I jumped in with both feet on the Words To Live By Summer BOW program. Thank you for sharing your talents with us! I love wool appliqué and done a lot of it but never used SAS2. I’ve used Misty Fuse but now will try SAS2 for sure. Thanks for a great post on working with wool. Lisa I’m so glad SAS2 is back!!! I’ve been using it ever since you first told me about it at Road To California several years ago.. Matter of fact I actually “hoarded” my box when I heard it was going out of production; normally I’d share with friends when in a class or meeting but that’s where I drew the line no sharing my SAS2 🙂 until it was back in production!!! Now I can return to sharing!!! And I agree with you Lisa, just because it’s primitive doesn’t mean it’s sloppy! OH and if anyone else is reading my post… TAKE LISA’S CLASS whenever you can. I took one this year in January and she’s an excellent teacher!!!! I’ve taken many different types of classes from many teachers over the years and learned little tricks here and there but I learned so much in the 2 day class with Lisa I can’t even begin to tell you here how helpful it was… I can hardly wait until 1/18/15 when I get to take another one of her classes! Not only is she an excellent teacher but she’s a warm generous and caring person. I’ve never tried this product before but now I’m anxious to give it a try. I love your wool designs! I Store my SAS2 lite in a long plastic box that was intended for holding lots of photo packs. It’s easy to snap the lid off and just roll out what I need and it keeps its’ moisture. My sister and I will split a box of it when we get a good deal on a sale. I learned how to do Wool Applique using Steam a Seam 2, and then all of a sudden it was out of stock and I panicked. Nothing else worked quite as well for all the reasons you stated. I was so thrilled when you announced on your blog that it was back! And it truly is better than ever. I love the grid on the “tracing” side. About a year ago we moved to a small town in southern Utah, and I noticed a box of SAS2 in the corner of the fabric section of our Ace Hardware store. I did the dance of joy and bought the entire roll, and the girl cutting the fabric thought I was nuts. But as the year has progressed, and my supply got low, it started to separate, etc, so I was starting to panic a little again. 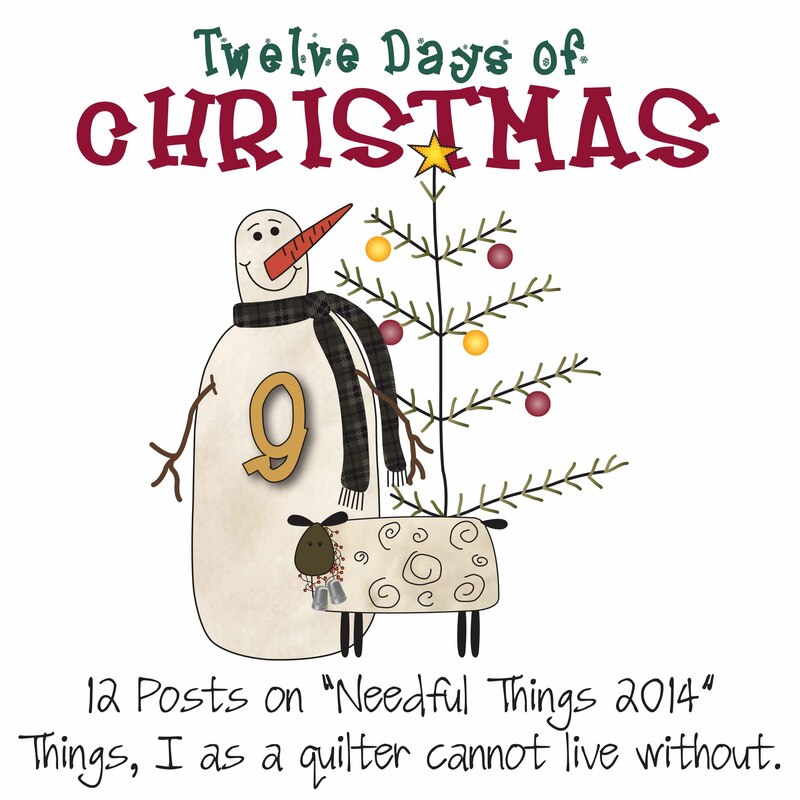 I love your 12 needful things, and I have learned so much the last few years. Thanks again for sharing and I am dying to find out when and where you Cali store will open! Merry Christmas! Being new to quilting I was surprised to learn that I love appliqué of all kinds and do it in some form on most everything I make. I did learn early on to use a fusible from my sister so have always used what she recommended. I don’t believe she has ever done any wool projects though. Am currently on month 8 of your A Primitive Garden (absolutely fabulous) Quilt and am inspired to try the SAS2. Thanks again for all the great tips!!! I’ve been using Heat n’ Bond Lite with lots of steam but it looks like I need to give SAS2 a try after all the positive comments about using this product. Thanks for all the tips on wool applique. Thank goodness it’s available again!!! I ran out when they weren’t producing it & had to use other types. NOTHING works like SAS2. I’ve used ut for years, even before I started wirking with wool. It’s the best. I agree that the new SAS2 is much better than the old. Had problems with the old separating. Thanks for selling it! I am glad to see it by the yard instead of only single sheets. Thanks for all the info on SAS2, it was very helpful. I love using fusible for wool so I can easily take my projects with me. I use a different brand that has a featherlite variety & never have trouble with gummy needles or pieces falling off. It also fuses quickly with or without steam. You visited our guild near Chicago & I enjoyed your presentation so much. I was also lucky to take your tulips wall hanging workshop & had such a great time being with another passionate woolie. Mine turned out beautiful after using all your tips. After having to use another fusible; I will never use anything but SAS2. It is the best. I always use fusible but haven’t tried the SAS2. I need to fuse otherwise is lose pieces. Thanks for the chance to have an extra special Christmas with a surprise from Primitive Gatherings! not happy with the product or results. I was fortunate to be able to take a class from you last year, and learned some good tips and tricks with the fusible and also stitching. I’m so glad this product is back and better then ever! Thanks for all your knowledge on using SAS2, sounds like just what I need for my woolie appliques. I sometimes use it and sometimes not but I will start using it regularly with lots of steam. Thanks for all the tips on Steam-a-Seam 2. I’ve tried other fusibles but this sounds like something I’ve got to give a try. Thanks for all the Woolie goodness! Thanks to your teachings and your staff, I have always used SAS2 on my PG wool kits. Steam a seam 2 lite is great for wool applique. I’m glad the product was re formulated. It was a bit frustrating for awhile until they sorted out the issues. Would love to take a wool applique class from you. I’m hoping that you’ll be teaching in PA this year!!!! Hi there Lisa. First off, good luck on your new store – I bet folks are excited in southern CA. 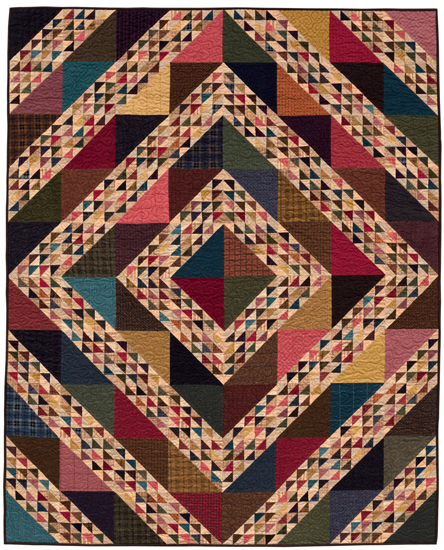 Your flannel award winning quilt is magnificent – saw it in Paducah and was blown away. You and Linda are a wonderful team; your creations are divine. I love SAS2; it was a downer when they disappeared. Glad to see you’re offering it in various sizes, I’m ordering some today. I’ve used it many times on cotton and wool and have never been disappointed. Thanks for the tips. All I can say is, so glad it’s back. So glad the SAS2 is back! It was a long drought! My friends and I have taken wool classes from you twice and learned so much. I was a beginner but my friends who had been doing it for years couldn’t stop talking about all the good tips they learned from you. If you ever published a wool applique how-to book on your method, it would be a best seller and I’d be first in line for 5 copies!!! Lisa, I have been doing wool applique for a few years… self taught. I took a wool applique class from you this summer and I have to say using the techniques you taught brought my wool projects to a new level. I just couldn’t get over how much time you spent with all of us. Sharing all your knowledge and tips for a successful project. Seriously best class I’ve ever taken! I wouldn’t do a wool project without SAS2 lite. I am so glad that the company re-did the Steam A Seam as it seems a lot better than the original one. I took a class from you a couple of years ago and remember you saying that you used a lot of steam with your wool applique. Lisa, thanks for all the great tips. I was not aware that steaming is the secret to successful fusing. Can’t wait to give it a try. I am new to working with wool but I an hooked! Love it!! Would love to take a class from you. If you are ever in Southeastern Michigan I’ll be there! You were the pattern maker that introduced me to SAS2 lite WAY back when. I have always kept stocked up and stored carefully so that when they were out of production, I had enough to carry me thru. It is THE best and I’ve never had a problem stitching thru it. It is not to be without particularly on the tiny pieces. Almost IS time to buy more since I do a lot of wool work. It will be interesting to try the new! I cannot wait to use your suggestions with the new SAS2. Like others, I have had problems in the past because I was not using the product correctly. Thank you Lisa ! Thank you for the very informative (not wordy) post…..I learned a lot!!! I have done only one wool applique project…a pincushion…and used what I had which was Heat n Bond. It was a nightmare…the needle was so sticky and I had a really hard time hand stitching through it. I have been trying to decide if I want to use fusible products and after reading your post I am very anxious to try LSAS2!! I really like the idea of clean neat edges and having the pieces stay in place until ready to sew. Thank you for the great wooly post! Lisa, I took a class with you at Quilt Odyssey in Hershey, PA. I LOVE your methods and SAS2. No problems with it and stitching is like going through butter. The proper supplies do make a difference…PG needles, threads, SAS2. etc. You “taught” throughout the entire class and explained everything. I like to know not only “what” I’m supposed to do, but “why”. Taught your “Colonial Knot” to my 5 yr. old granddaughter…she “got it” and is making a cute snowman ornament. Love doing wool applique. Will have to give Sas2 a try. All I can say is….Listen to Lisa!! She knows her stuff! I have been using SAS2 for years and think it is the best product for fusing fabric (all types). Thanks for all of your tips. I may try again, using your directions. Thanks for sharing the information so generously!! I took a wool applique class with Lisa in September when she came to our Guild. Even though I have been doing wool applique for several years, I learned a lot more from her including shortcuts. 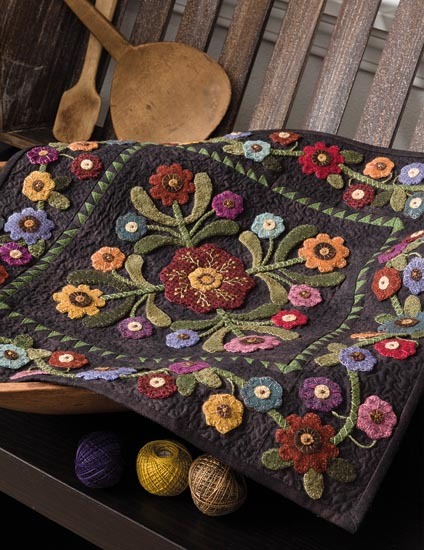 I recently bought some SAS2 and will be trying it on my next wool project – a kit from Primitive Gatherings! I had always used Heat N Bond but then I hadn’t done wool applique. So after taking a wool class from you Lisa, I used the SAS2 and loved it. Then it went out of production. Bummed Out!! So I have already ordered quite a bit so I am sure not to run out again. Looking forward to taking the wool class again as there is always more to learn from you!! It is great that this new and improved SAS2 is available. I have always used SAS2 and missed it when it was not available. Can’t wait to get mine. Love this stuff for wool applique. Makes it so much easier. Thanks for the tips on using SAS2–I haven’t had a chance to try it yet, but have a couple friends say that they have had lots of problems with the new product. I will direct them to your post! I’m going to be starting a wool project in 2015, so this post was very timely for me! Thank you. I’m glad SAS2 is back. Thanks for all of the tips. Hi Lisa – I use SAS2 because of you! And I love it – use it for all my wool applique – holds everything nicely in place and allows the pieces to lay smoothly giving the finished product a professional look – no bunching or waves. Thanks for the post. I am sad to say I have never been able to take classes with Lisa because evidently NO ONE IN WESTERN NEW YORK DOES WOOL APPLIQUE! NO GUILDS OR STORES HAVE LISA COME HERE TO HELP US LEARN! Or maybe you heard about our seven feet of snow in November(Snovember?) and have decided winter in Wisconsin is safer?Anyway, I am always interested in new learning, and in learning about new products. Thank goodness Steam A Seam is available again! Looking forward to stocking up! Lisa, this is my most needful thing!! While it was out of production I tried several different brands and none of them could come close to SAS2. I follow the directions on your patterns but would love to be where you are teaching a class. Maybe someday our paths will cross. Great selection for a needful thing! Thank you so much for the insight into how to use SAS2 with wool. I have always pinned my pieces but struggle with getting it to look nice. I can’t wait to now try SAS2 when working with wool! I have not tried the SAS2 yet . . . but I’d love to! Your info is so helpful on doing wool stitching! So glad you have this for sale!! Perfect timing…I ran out this week! Thanks for the tips on fusing….I’ve gotten sticky needles and didn’t know why…very frustrating! Thanks again! Glad I wasn’t the only one with paper issues in the past! :). .some days I felt like a total idiot ’cause I thought I had traced on the wrong side, only to find the paper was loose on both sides. Will have to try the new and improved product. Thank you so much Lisa, for that great explaination about using the SAS2. I was so glad I did Primitive Garden before the original SAS2 went out of stock. The 2nd edition wasn’t great but I’ve only had to use it once. Looking forward to trying this version! Thank you for all the helpful info. I love SAS2 and all your beautiful wool projects. I’ll have to use even more steam because sometimes my needle gets gummed up a little. I would be so thrilled to take a class from you some day! When are you teaching in Michigan? Can’t begin to tell you how frustrating the earlier version was. Finally gave up! Anxious to try the new improved version. love that they got a new vendor and figured this out, I love this stuff!! Have been waiting for this new SAS2 for so long! So glad you have it for sale now! Lucky enough to have taken 2 of your workshops. You are a great teacher! Have not done wool applique. Sounds like SAS2 would be the best way to learn wool applique. Hi Lisa , Merry Christmas ! I live way too far from you to take a class. I would just love it if you would do a video on your technique. I’m sure others would too ! I’d be willing to buy a DVD. Just an idea ! Anyway. I love your all your work !! Have a great holiday ! Presently I am working on your 2014 Summer Block of the Month. LOVE IT!!! I would not use anything else but SAS2 to fuse the wool to my quilt blocks. When SAS2 was finally available, I stocked up because I never want to come close to running out of my favorite needful thing. Taking one of your wool classes is a dream of mine. Hopefully I can make my dream come true in 2015. Guess I need to try this! Thanks for the tip! I took a class from you about 4 years ago and you introduced me to SAS2 at that time. The class was awesome and you were so helpful and patient. Thank you. Glad to hear SAS2 is back and better than before because I’m not happy with the other brands. I’m so happy to see SAS2 back! I really love using it, for all the reasons you gave in your class and on this post, and I’ve been really missing it. Lisa’s classes are great, and you can learn some new things even if you’ve been using wool for a long time. I’m newer to Wool applique, but having something help secure the wool in place as I stitch it down is a good thing. I’m with you. Primitive doesn’t have to be sloppy. Thanks for the great post. Hi lisa, please consider doing a webnear or on lines classes. I would love taking a class from and learn your tips. I had never used Steam a seam when doing wool applique until I took a class from you. Will be glad to be able to get it again. OK, it’s 11 o’clock EST and I just remembered I didn’t order this. YIKES!!! Can’t wait to get it and try the new version. Hi Lisa! I want to thank you so much for doing Needful Things for us. This is my first year participating and I’ve been following your blog most of the year. I think its awesome how much you do to serve your customers, to anticipate our needs and to try and keep things as simple and unstressful as possible for us. Truly, its customer service at its finest and something many of us don’t see much of anymore. Just wanted you to know that we see all the efforts you make to go the extra mile for us and I want to personally thank you so much!! I know this has been a hard year for you and want you to know that you and your family are in our prayers. Regarding the SAS2, I have had a chance to try the new version and think its waaaayyyyy better than the old (and yes, I did get it from your shop! : ) Appreciate all the helpful hints and tips about using STEAM with our wool applique! S2S2 is working just super for me and I’m not having any issues needling through it. Best thing is it leaves my applique piece nice, flexible and natural feeling . . . not a hint of stiffness like some other products I have used in the past. Ok, I’m off to the store to buy some more! Best wishes on the California project. Don’t work too hard . . . remember to stop and smell the roses and those awesome sea breezes! I am so glad that LSAS2 is back and improved. I don’t like to use the other brands, as they don’t work nearly as well. Thanks for your tips, Lisa. Well, after reading many of these posts, I may have to try the LSAS2. I use the freezer paper method because I don’t like having to pull so hard through gummy glue on my wool. But, if you say use steam and LSAS2, then I’ll just have to get some and try it out. Thanks for the tip. Looking forward to more info. Primitive Gatherings recommendation is what gave me the incentive to start using this with my wool applique. “Live without”–perhaps. “Must have”–definitely! Wow! I never knew there was so much to learn about working with wool. I am new to wool applique. I will have to be on the look-out for one of your classes near me in the future. It is wonderful to know how an expert appliques. I do not applique with wool, but would love to learn (fancy stitches, too). I use applique fuse and fix when appliqueing cotton to cotton (usually by machine). Hand stitching is so pretty and it’s exciting to see it making a come back. Thanks for the tips and insight. Glad to hear the product has been updated. Loved the adhesive, but hated the paper coming loose issue. Will definitely try again. Thanks for the info Lisa. I can not tell you how HELPFUL this discussion on Steam a Seam 2 Lite has been. I bought a couple packages when I visited the shop in October. I carefully followed the directions on the package, watched the video that the company provided, checked youtube for more info….and I was just so FRUSTRATED because I couldn’t get it to work like I wanted it to! THANK you, Lisa, and all the other posters to this blog!! I have always used Heat and Bond lite because (other than the internet) my shopping availability out here on the Colorado plains is either WalMart or Walmart :(. I’m hoping this will give me a better option!! Love the new Warm Company’s Steam a Seam products. Their new paper backing is soooo amazing, easy to use. I did have a little trouble with my wool appliqué sticking until I learned to use more steam! I too hand stitch ALL my wool projects. I’d LOVE to take a class from you, Lisa! I have watched your You Tube videos, your Fons and Porter appearances, read (Yes, I have read them and read them) your blog posts, and pattern tip instructions to try and learn all your tips. I have ordered many kits, participated in the summer BOW, and currently in one of your BOMs. I just love wool applique!!!!! I’ll have to try the SAS2 as incentive to finish a wool applique kit from ??? years ago. I have been doing wool applique for over 10 years. My first experience with fusible was not a happy one so I stopped using it and have been using freezer paper and pins. I am sure there have been many improvements over the years so if you say it’s good and doesn’t make the pieces too stiff then I’ll give it another try. Thanks! I have used SAS2 and will be using it again in the new year on my next project. Great stuff! SAS2 lite is my only choice for a fusible. I would love to take a class on wool with you. Hopefully when the shop opens in So. Calif. I can’t wait !!! I’ve used the old SAS2 on my machine appliquéd projects, but not on wool. You have convinced me to give it a try. I hate when the edges of my wool fray and especially when I get a grubby looking point. Have you ever considered offering a video tutorial of wool appliqué with all of your tips or publishing a DVD for sale? I know I would love it. I’ve always wanted to take a class from you, but I’m too far away. Very excited! Coming all the way from Portland, Maine to visit your shop while visiting son in Grafton, WI.